More and more websites and apps are using your location data to provide you with a better browsing experience. 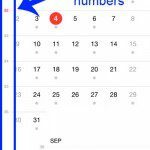 This can involve things like identifying restaurants or services that are near you, or letting you know how long it might take you to drive somewhere based on current traffic conditions. If you find that a website knows your location and is providing you personalized information based on your location, then you might be looking for a way to stop that. 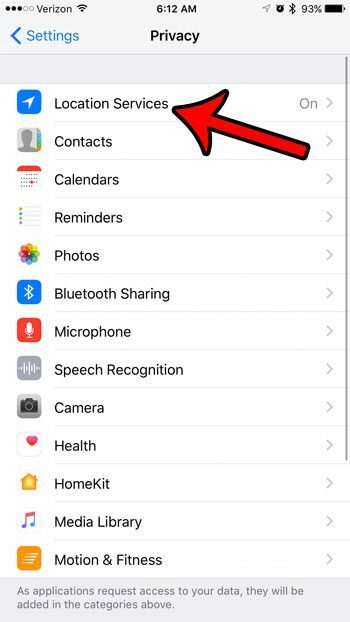 Fortunately you have some control over the location information that your iPhone shares with Web pages that you browse in Safari. 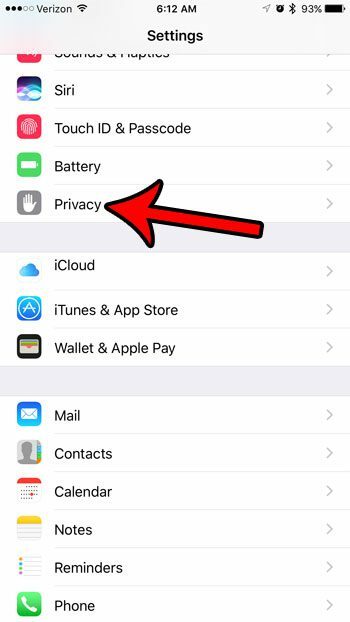 Our guide below will show you how to stop Safari websites from using your location on your iPhone by adjusting a privacy setting on your device. 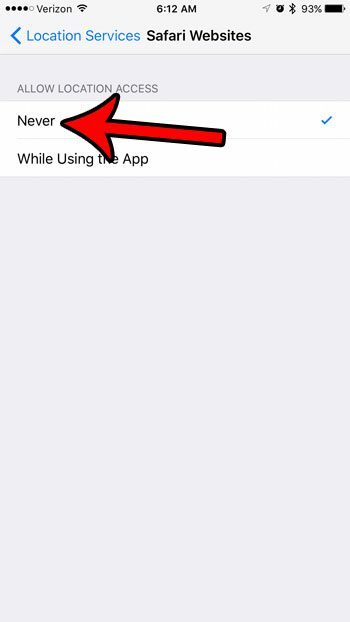 The steps below were performed on an iPhone 7 Plus, in iOS 10.2. 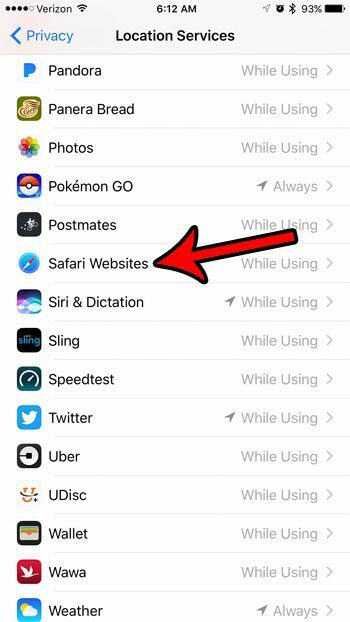 These steps are going to turn off the ability for websites to use your location when you visit them in the Safari Web browser. 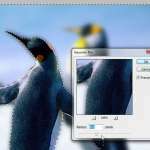 This will not affect browsing in other browsers, such as Chrome or Firefox. 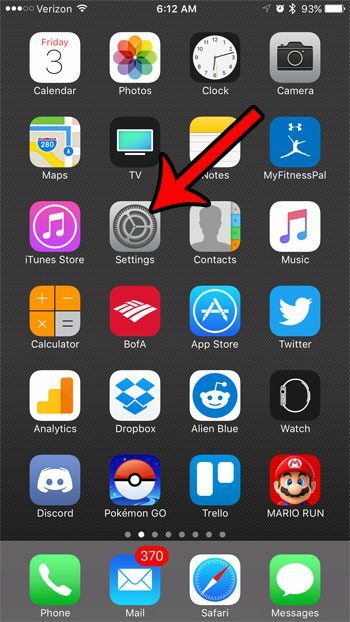 Note that certain websites rely on location data to function effectively, so you may notice a worse experience if you try to browse one of those sites in Safari after disabling location services. Step 4: Scroll down and select Safari Websites. Step 5: Select the Never option. Would you like to share a Web page that you visit with one of your friends? 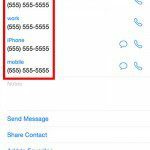 Learn how to copy and paste a Web page address on your iPhone so that you can send a link to that page in an email or through a text message.